Meet the crew of Trinidad Rig 108. 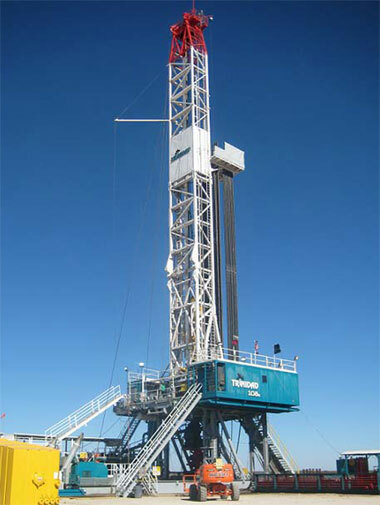 Rig 108 operates in Reeves County, Texas, and drills in the West Texas Permian basin. It has been commissioned for six years, and in that time its crews have never had a recordable incident. Mike Sasser is the HSE Manager for Trinidad’s US Southern Division ­– which includes Rig 108. His job is to build a proactive safety culture on Trinidad’s rigs. “People have to understand safety is personal. It is about them at the end of the day. We want everyone to return home the way they came to work,” explained Sasser. “When I attend milestone meetings, I ask the crews how they made it, and they always say, ‘we are a family.’ They want to look out for each other,” Sasser explained. Rig 108 is not the only safety success story in Sasser’s division. His team has five other rigs that have gone four years without an incident. Trinidad’s Canadian fleet also has a safety record to be proud of. 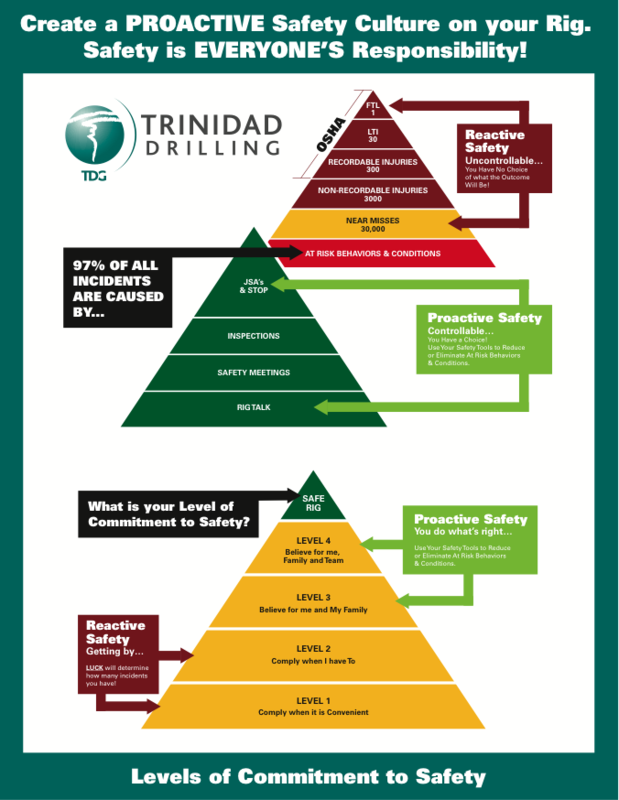 Trinidad’s total recordable incident frequency is the lowest compared to any major drilling contractor in Canada. Sasser explained that one of the keys to keeping Trinidad’s teams safe is a proactive rather than reactive approach to preventing incidents. A tool Trinidad uses to teach this approach is the Proactive Safety Triangle (below). The triangle highlights what Sasser said has been key to Rig 108’s outstanding safety record: all members of the team need to be safe for themselves, their families and for each other ­– not just because they are told they have to. If you are interested in joining a rig with an amazing safety record, check out our careers section for opportunities.